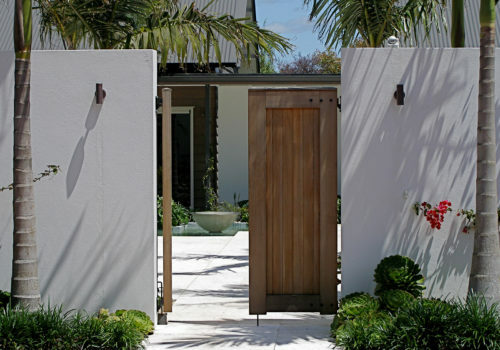 A contemporary courtyard space was created between the house, studio and guest bedrooms to provide a multi purpose space that welcomes visitors to the home and provides outdoor living spaces for the guests and owners. 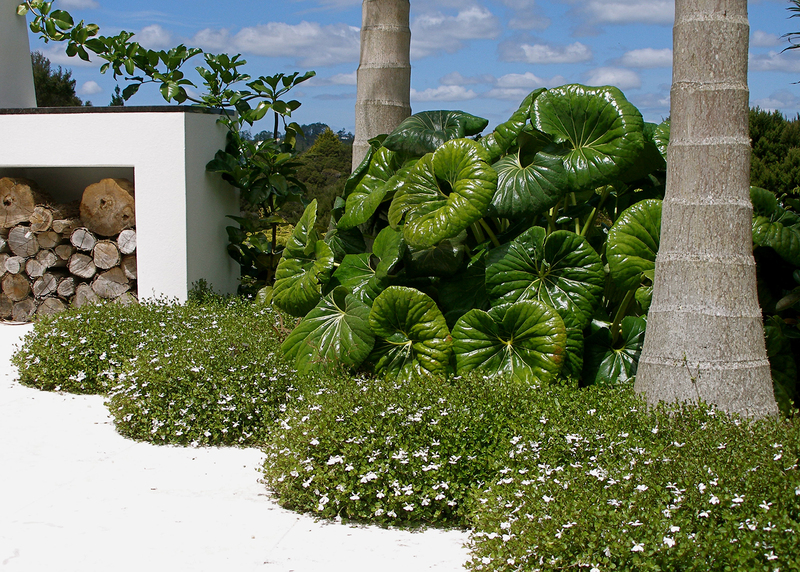 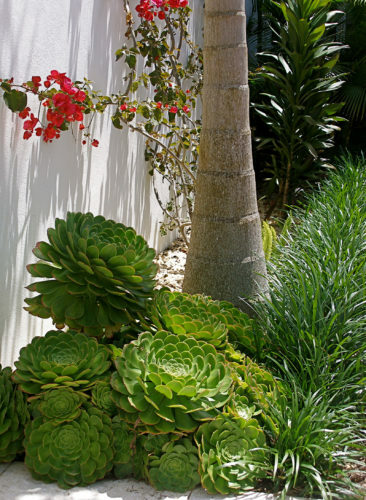 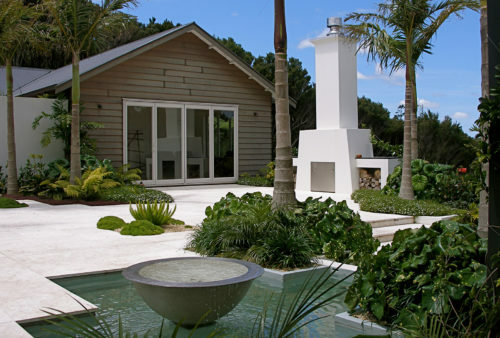 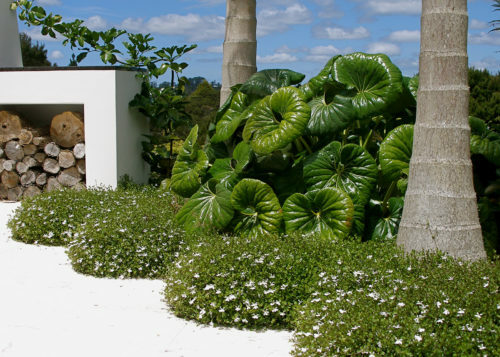 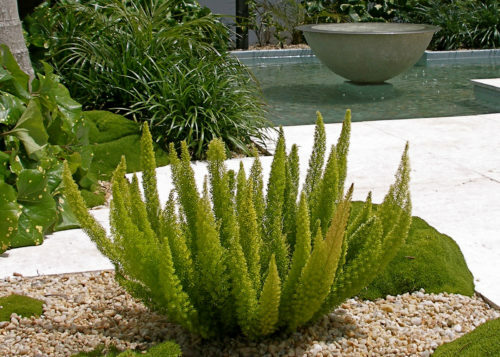 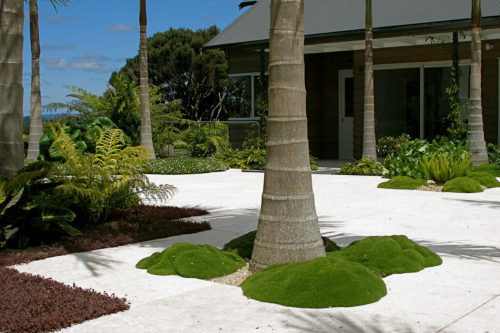 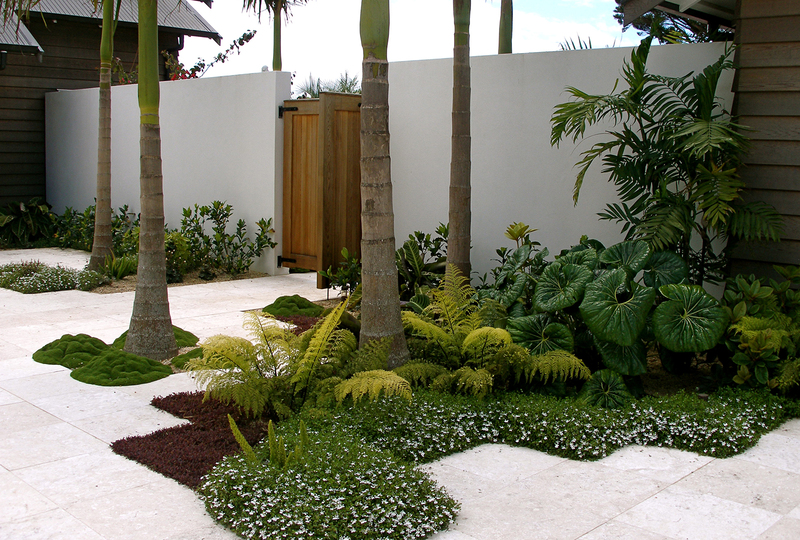 Large palms were used to create a mature feel to the space, while these have been under planted with a mix of interesting sub-tropical shrubs and groundcover such as Foxtail fern, Farfugium, Scleranthus, and Ligularia. 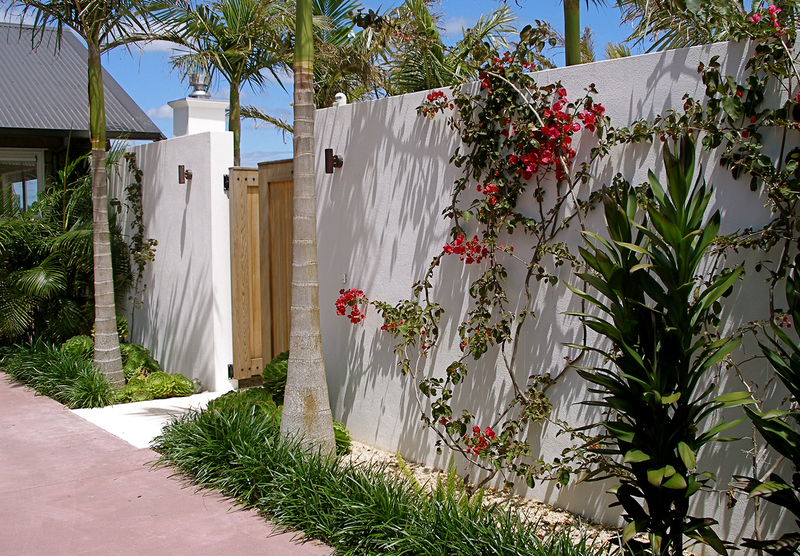 Beige pebbles as mulch contrasts against the pale travertine paving and white plastered feature walls, these providing a backdrop to the Scarlet O Hara Bougainvillea. 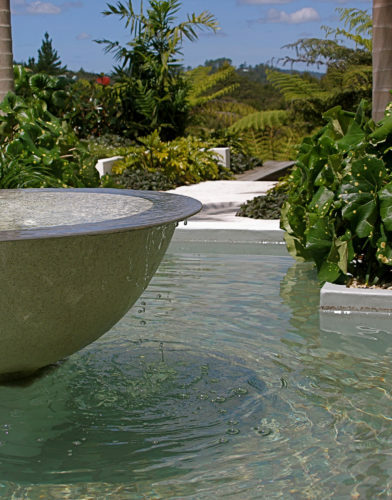 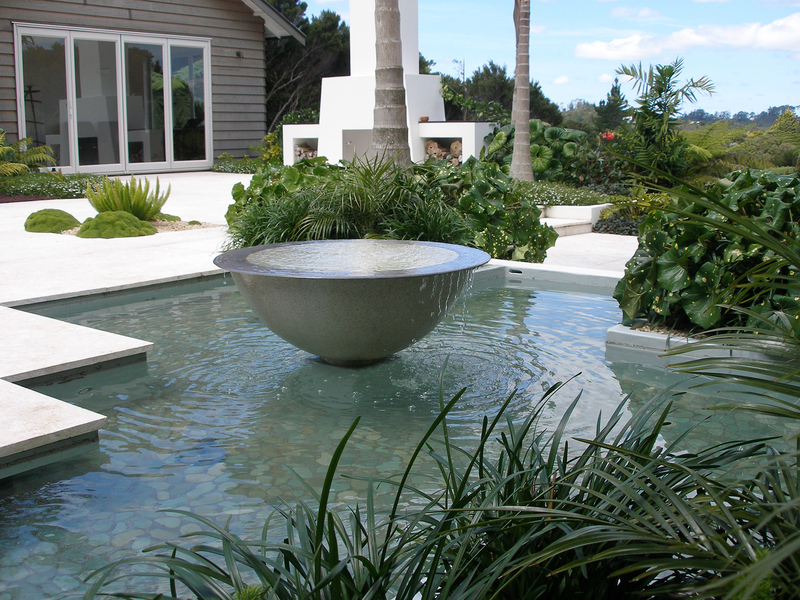 Timber entrance gates provide a glimpse view of the courtyard and the individually crafted bowl water feature and pond. This draws visitors into the courtyard and towards the front door. The pond provides and tranquility to the courtyard space. An outdoor fireplace in the courtyard allows for evening dining under the star. 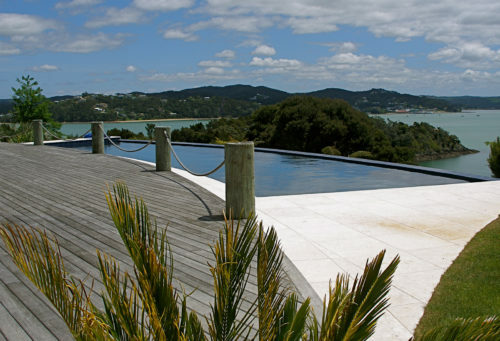 On the other side of the house is the infinity edge swimming pool with expansive views across the inner Bay of Islands.